Before getting to know the Smooth Fox Terrier temperament, it’s important to understand a bit more about the breed itself. Together with the temperament, this will help you decide if he is the right kind of dog for you. The Smooth Fox Terrier is actually considered the granddaddy of many a fox terrier, as several breeds of terriers have descended from him. Other types of terriers include the Bull Terrier, the Jack Russell Terrier, and the Yorkshire Terrier (or “Yorkie”). Looking to spend as much time with your pup as possible? The Smooth Fox Terrier is a good choice. He has a rather lengthy lifespan, on average living between 12 and 15 years and, in some cases, even up to 19 years! Overall, this breed tends to be a rather healthy one. Although, like any dog, he can certainly suffer from his fair share of ailments. Brushing a dog like a Huskie every day and dealing with cleaning up an entire coat of fur twice a year is a chore. If this doesn’t sound like your cup of tea, then you would be rather happy with a Smooth Fox Terrier. That’s because when it comes to grooming, he’s low maintenance. You can use either scissors or clippers to keep a Smooth Fox Terrier’s coat looking clean. This is because the hair on his body grows evenly over the entire body. No rough collars or fluffy tails here! Most importantly, keep his nails trimmed and to make sure that the hair between his foot pads is clean. You should also regularly brush a Smooth Fox Terrier’s teeth. Not because he is more susceptible to dental problems, but because maintaining oral hygiene is important to his overall health. Just like training your dog, it is also important to start grooming his at a young age. This is so he gets used to it and makes it easier on you as he gets older. Even better, many Smooth Fox Terriers come to adore the attention they get while they’re being groomed. Okay, so now that you know a little bit more about the breed, we can delve more into the Smooth Fox Terrier temperament. Here’s a quick breakdown about what you can expect from the breed. The Smooth Fox Terrier is cheery and enthusiastic. He will jump at any opportunity to play, especially when children are around. “Brave” and “bold” are two words that are often used to describe the Smooth Fox Terrier. However, it is still important that he understands that you are his “pack leader”. Otherwise, if he senses that you’re a softie, he can develop Small Dog Syndrome and become a bully. Small Dog Syndrome, or “SDS,” develops when small dogs exhibit aggressive behavior (and other bad behaviors) that is allowed to go unchecked. The owner's mindset being “oh he's a small dog, no worries”. If it were a larger dog they likely won't tolerate it. This is a bad terrible mindset which down the road can lead to excessive barking or guarding issues, as well as growling, snapping, or even biting. It’s easy to understand how this could get out of hand. Imagine a terrier running around crazy without a leash. Then imagine the same scenario with a bigger dog, like a Saint Bernard or a Rottweiler. People would be scooping up their children and running away from a Rottweiler – perhaps not so much with a little terrier. So, if you’re not careful, your “terrier” can become a “terror.” And, since the Smooth Fox Terrier is already bold enough on his own, you don’t want to go giving him that kind of power. The Smooth Fox Terrier has a rather strong hunting instinct. If a rabbit or a bird happens to cross their path, it could end up on your back stoop later on. It is recommended that you keep your Smooth Fox Terrier on a leash whenever possible. Or if available, in an enclosed area. In addition to hunting, the Smooth Fox Terrier is also a wanderer. He’ll take the opportunity to go off and explore if you don’t keep a watchful eye on him. As you can see the Smooth Fox Terrier temperament includes high energy levels. Frequent exercise is a must. It helps prevent him from becoming both stressed out and frustrated. This goes for mental exercise as well as physical. A daily walk or jog is a good habit to get your Smooth Fox Terrier into. It will help him to burn off that excess nervous energy that can lead to bad behaviors. The Smooth Fox Terrier is a great breed for learning new tricks. He is a smart dog, and with patience and time, he’ll be sitting, playing dead, and playing fetch in no time. 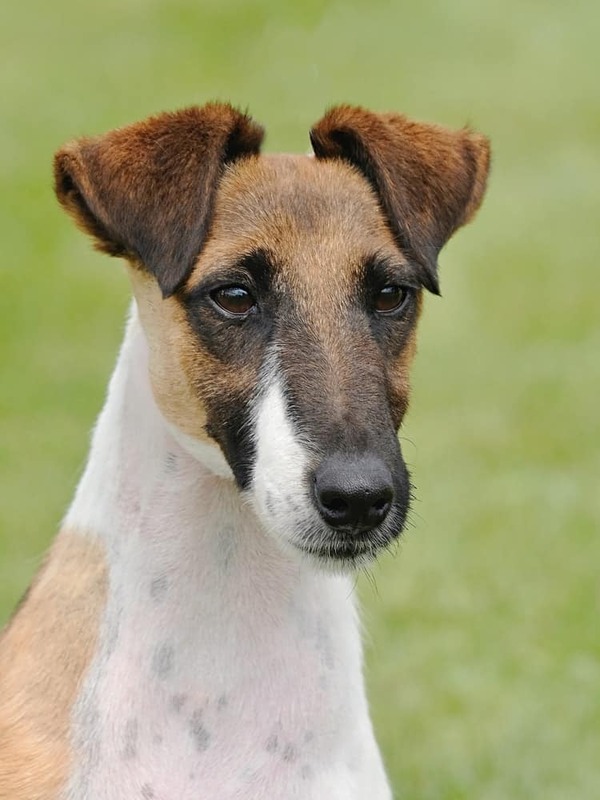 The Smooth Fox Terrier is incredibly devoted and loyal to his family. There is no one he would rather be around than his masters. He is also good with other dogs, provided he is properly introduced to and socialized with them. 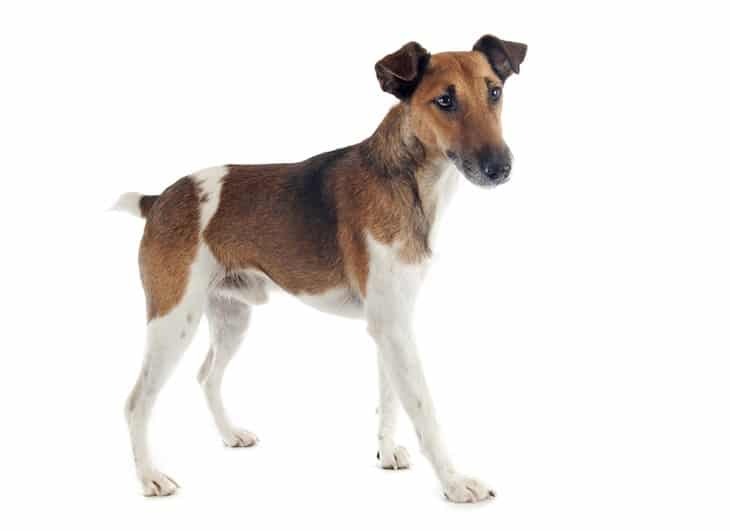 By now, you should have probably determined whether or not the Smooth Fox Terrier is the right kind of dog for you. 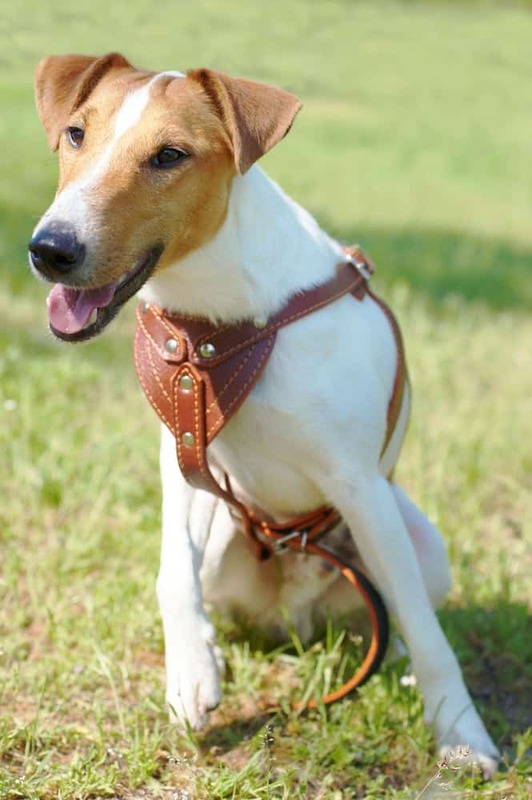 The Smooth Fox Terrier temperament is an energetic and happy one. But remember to keep him reined in so he doesn’t get too big for his britches.